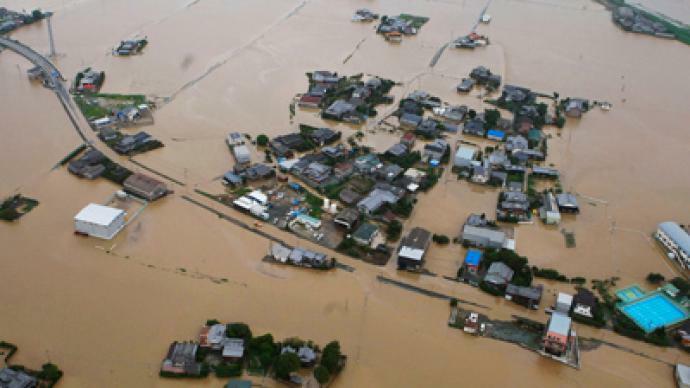 The death toll from landslides and floods in Japan has risen to at least 24. Around 260,000 people living in the area have been ordered to evacuate, and 140,000 more were advised to leave their homes on the southwestern island of Kyushu. Eight people are reported unaccounted for. Most of those killed lost their lives in landslides in and around the town of Aso, situated on the foot of a volcano in Kumamoto prefecture, one of the island’s four prefectures affected by the disaster. 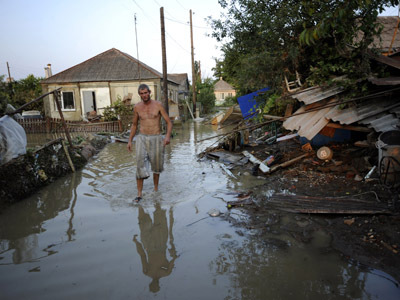 Many of the casualties were elderly people unable to leave their houses as water levels rose rapidly. Two hundred and sixty thousand people in the north of the island have now been ordered to leave their houses. They were instructed to go to designated shelters such as schools and other public facilities. Some 140,000 others were also advised to leave their houses to avoid jeopardizing their lives. Television footage showed streets and land masses awash with streaming muddy water carrying pieces of debris. Up to 181 landslides occurred in the Fukuoka prefecture, damaging 820 houses and washing away three bridges, Hiroaki Aoki, the prefecture’s spokesman, stated. A riverside drive-in restaurant in the Yamakuni prefecture was inundated up to the roof, though water levels later subsided. 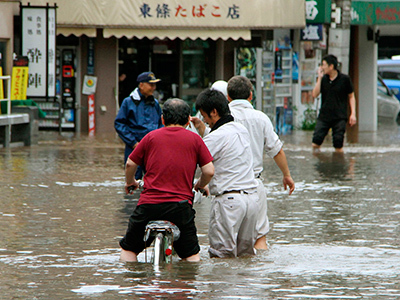 The Japanese Meteorological Agency expects more floods and landslides as severe showers continue to batter the island. 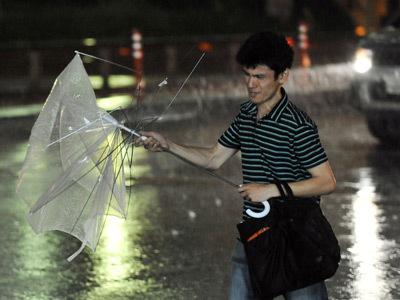 Rainfall of up to 4.3 inches (11 cm) an hour was registered on Saturday. Heavy rains have been battering the southern island of Kyushu since Thursday. 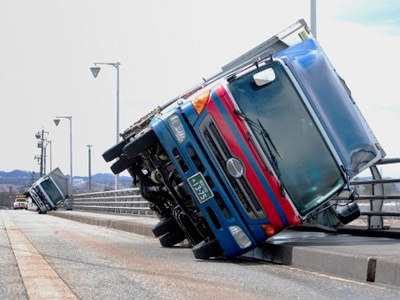 Auto and railway transport communications on the island of Kyushu have been interrupted by a record downpour that in some districts of the island reached unprecedented 810 mm. 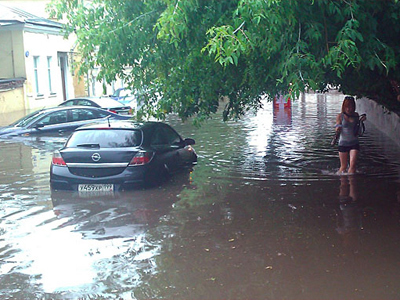 The weather forecast predicts no respite in the rainfall, which is expected to bring up to 90 mm of water per hour. Servicemen of the Japanese Self-Defense Force have been deployed to assist with handling the consequences of the floods. The Japanese prime minister's office has established a special headquarters to collect information on the natural disaster.